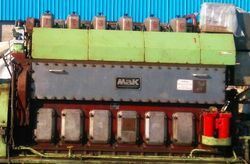 Repair and overhauling of engine is undertaken by technicians who have worked with reputed engine manufacturers like Wartsila, Mirrlees Blackstone, Caterpillar, MAN, etc. VFM has developed an unchallenged market leadership in the area of engineering services, repair & retrofits works in the FM industry over the years. On diesel engines, it features a high-pressure (over 1, 000 bar/15, 000 psi) fuel rail feeding individual solenoid valves, as opposed to low-pressure fuel pump feeding unit injectors Third-generation common rail diesels now feature piezoelectric injectors for increased precision, with fuel pressures up to 1, 800 bar/26, 000 psi. We take pleasure in introducing ourselves as leading firm by offering Diesel Engine Repair. Sea Galaxy Ship Management Pvt. Ltd.
We are Authorised dealer of Deutz for sales, Spare parts & services.We provide complete service solutions by deutz trained engineers. Our services are available 24X7. We are offering high quality Diesel Engine Repairing Service. 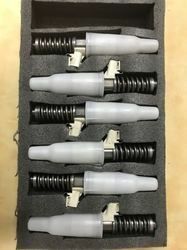 This service is rendered by our experienced professionals as per the international quality standards with the use of advanced tools and techniques. We render this service within predetermined time frame and at very affordable rates to the clients. We have in-depth experience in offering Diesel Engine Repairing service. Owing to the expertise of our professionals, we have been able to repair faulty diesel engines with precision & perfection. The offered service is rendered in adherence with the international standards. We equip our diesel-ready service centers with a full range of specialized equipment, from appropriately sized lifts to cutting-edge digital diagnostics. Supported by our talented team workers we are actively participating in delivering our clients with Diesel Engine Repairing Services. we provide this service within specified time as per the request of our customers. Only quality certified machineries and technologies are used for its servicing. Engine Right View Before Repair & Service.